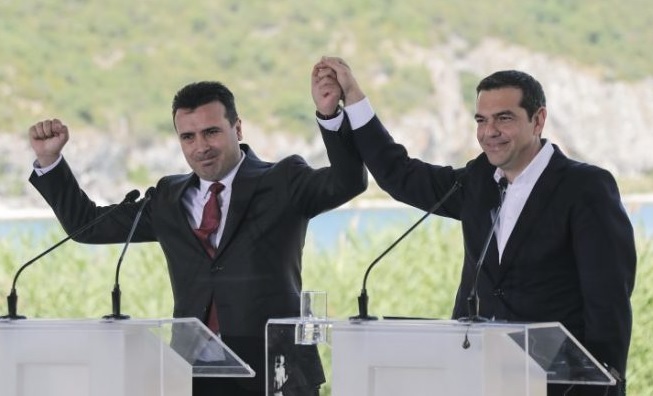 Greece's Prime Minister Alexis Tsipras and his Macedonian counterpart, Zoran Zaev, are officially nominated for the Nobel Peace Prize. The news is announced by state news agencies in Athens and Skopje. The Greek newspaper 'Ekathimerini' writes that it was the European Parliament who made the proposal for Tsipras and Zaev for their contribution to the efforts to resolve the name dispute, a problem that lasted for decades. Following the adoption of the Prespa agreement on changing the name to North Macedonia and of the protocol for its NATO accession, both countries - Macedonia and Greece - now need to send a joint letter to the UN Secretary General, Antonio Guterres.